Yasuo Watanabe was born in Tokyo, Japan, in 1949, of a musical and artistic family. His father, the late Akeo Watanabe, was the Founder and the Musical Director of the Japan Philharmonic Symphony Orchestra.ﾊ His mother is a painter. After graduating from Music High School in Tokyo, majoring in composition, he entered New England Conservatory of Music in Boston, where he got his Bachelor of Music and Artistﾕs Diploma in Piano, studying with Russell Sherman and Theodore Lettvin.ﾊﾊ He went to Juilliard School in New York after, and got his Masterﾕs Degree in Piano, studying with Sascha Gorodnitzki. He made his debut in 1972 in Tokyo, when he was with Theodore Lettvin, playing Brahms Piano Concerto No.2 in B-flat major, and because it was received with such a huge sensational success, that he has been invited to perform all over the world ever since. He made his debut as a professional orchestral conductor in 1992, and keep performing in dual field. He is a Professor of Piano at KURASHIKI SAKUYO University in Okayama Prefecture, and resides in Tokyo for many busy concert activities. 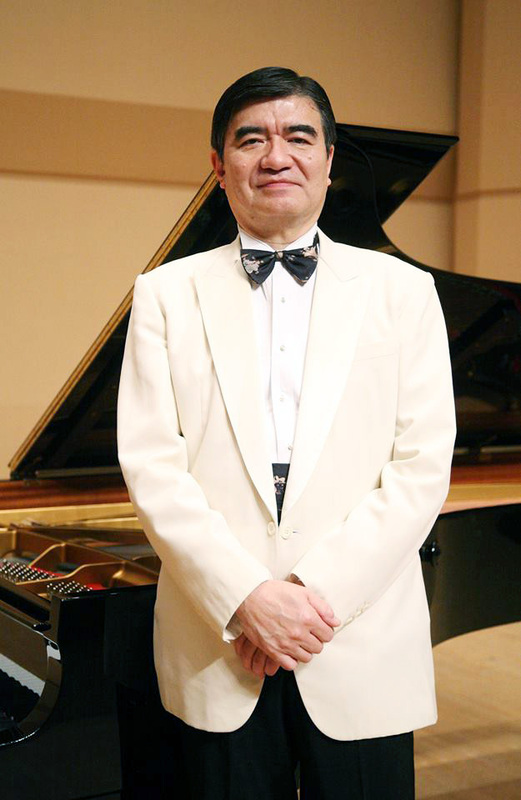 He also serves as a Lecturer of Toho Gakuen School of Music, Director of Kamisaibara Pianistﾕs Camp, and Deputy Music Director of Tsuyama International All-Round Music Festival.